Principal photography began July 9 on the dystopian action adventure Mad Max: Fury Road, a Kennedy Miller Mitchell production written and directed by Mad Max creator and Academy Award winner George Miller (Happy Feet). The film will be presented by Warner Bros. Pictures in association with Village Roadshow Pictures. It will be distributed worldwide by Warner Bros. Pictures, a Warner Bros. Entertainment Company, and in select territories by Village Roadshow Pictures. Mad Max: Fury Road - the fourth in the franchise's history - stars Tom Hardy (The Dark Knight Rises) in the title role of Max Rockatansky, alongside Oscar winner Charlize Theron (Monster, Prometheus) as Imperator Furiosa. According to Miller, "Mad Max is caught up with a group of people fleeing across the Wasteland in a War Rig driven by the Imperator Furiosa. This movie is an account of the Road War which follows. It is based on the Word Burgers of the History Men and eyewitness accounts of those who survived." Mad Max: Fury Road also stars Nicholas Hoult (X-Men: First Class) as Nux; Hugh Keays-Byrne (Mad Max, Sleeping Beauty) as Immortan Joe; and Nathan Jones (Conan the Barbarian) as Rictus Erectus. Collectively known as The Wives, Zoë Kravitz (X-Men: First Class) plays Toast, Riley Keough (Magic Mike) is Capable, and Rosie Huntington-Whiteley (Transformers: Dark of the Moon) is Splendid. They are joined by supermodel Abbey Lee Kershaw as The Dag and Courtney Eaton as Fragile, both of whom are making their big screen debuts. Also featured in the movie are Josh Helman as Slit, Jennifer B. Hagan as Miss Giddy, and singer/songwriter/performer iOTA as Coma-Doof Warrior. The cast is rounded out by well-known Australian actors John Howard, Richard Carter, supermodel Megan Gale, Angus Sampson, Joy Smithers, Gillian Jones, Melissa Jaffer and Melita Jurisic. Miller is directing the film from a screenplay he wrote with Brendan McCarthy and Nick Lathouris. Miller also produces the film, along with longtime producing partner, Oscar nominee Doug Mitchell (Babe, Happy Feet), and P.J. Voeten. Iain Smith, Graham Burke and Bruce Berman serve as executive producers. The behind-the-scenes creative team includes Academy Award-winning director of photography John Seale (The English Patient); action unit director and stunt coordinator Guy Norris (Australia); editor Margaret Sixel (Happy Feet); production designer Colin Gibson (Babe); Oscar-winning costume designer Jenny Beavan (A Room with a View); and makeup designer Lesley Vanderwalt (Knowing). 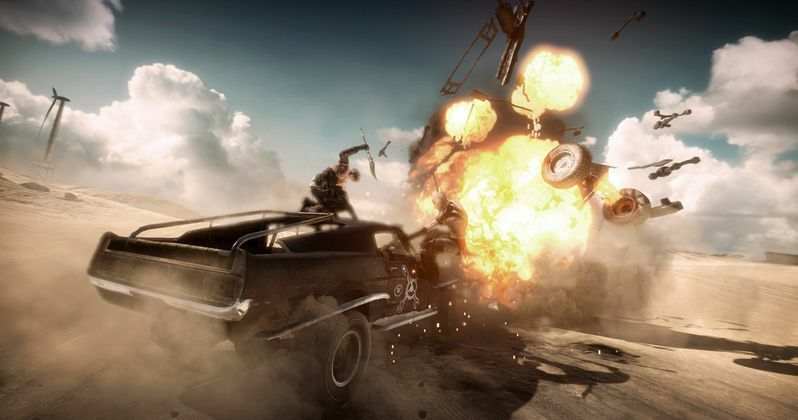 Shooting on Mad Max: Fury Road is taking place in Africa with the support of the Australian government. Originally slated to be shot in Broken Hill, New South Wales, Australia, the production was forced to relocate due to severe flooding, rendering the Australian landscape unsuitable for the film. The rain turned the area into an oasis instead of the post-apocalyptic terrain that is the setting for Max's world.